High capacity, high quality, refill roll towels for the enMotion Recessed or Impulse 8 Automated Towel Dispenser. 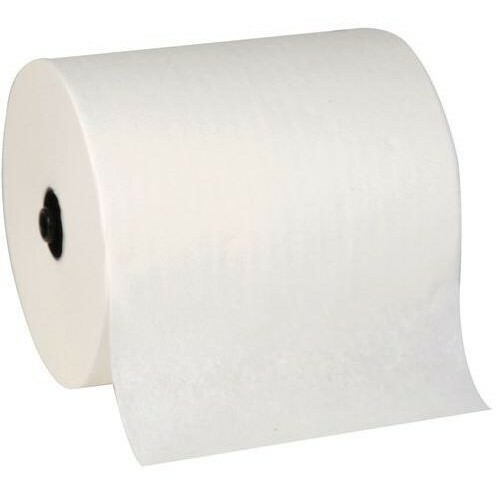 These cost-effective, high-quality roll paper towels are specifically designed to be used with our enMotion 8??? Recessed Automated Touchless Roll Paper Towel Dispenser and our enMotion Impulse 8" 1-Roll Automated Touchless Roll Paper Towel Dispensers to provide reliable towel dispensing at the wave of a hand. Choose these towels for dependable performance and customer satisfaction. LEED: Can help earn LEED credits. The LEED Certification Mark is a registered trademark owned by the U.S. Green Building Council and is used by permission. Compatible Dispensers: enMotion 8??? Recessed Automated Touchless Roll Paper Towel Dispenser, 59466 and 59466A, and enMotion?? Impulse 8" 1-Roll Automated Touchless Roll Paper Towel Dispenser, 59498, 59437, 59497, 59498A, 59437A, and 59497A.